Use comma (,) between multiple email addresses. If you're concerned about your privacy, rest easy - we don't capture or store the email addresses you submit. Thank you, your email message has been sent. 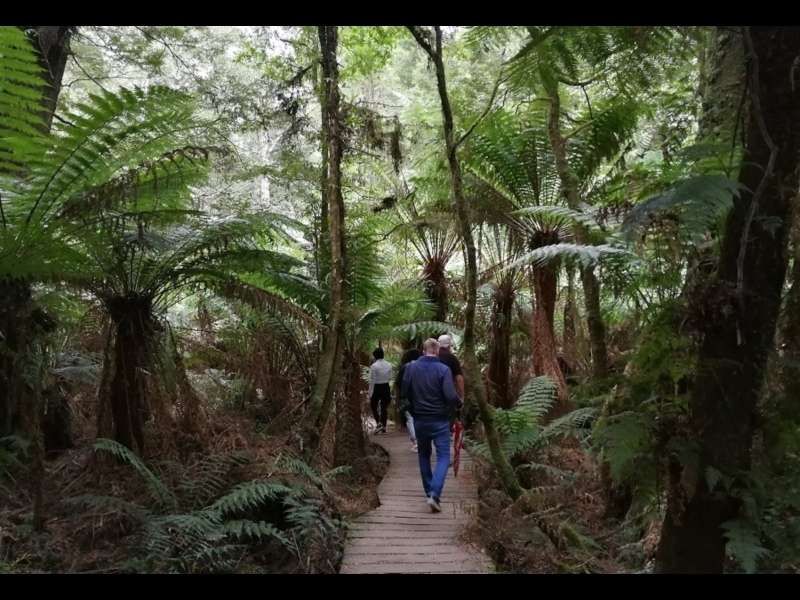 This is a must-see for anyone passing through the Otways; a stunning 30-minute loop walk through one of the few patches of temperate rainforest in the region. 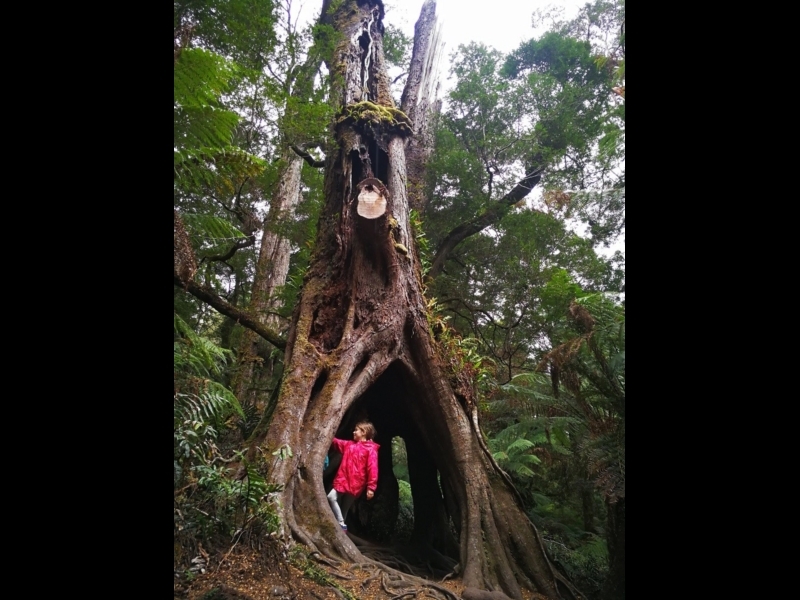 Located a 15-minute drive inland from Apollo Bay, Mait's Rest is one of Victoria's most visually stunning short walks. 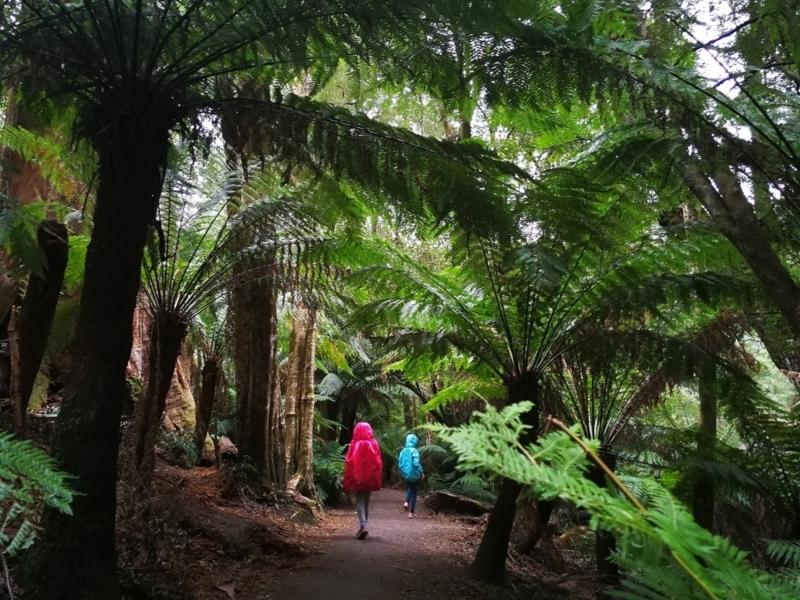 Towering myrtle beech trees - some 300 years-old - and an understory of lush greenery and tree ferns lends an other-wordly feel to this popular walk. The area was named after the Otway region's first forestry officer Maitland Bryant, and the track was only opened in 1993. Mait's Rest is also considered one of the best areas within the Otways to spot glow worms - usually at ground level next to the track. If you want to see them, head to Maits Rest just after nightfall. While they are more commonly sighted in warm, wet conditions they are present throughout the year. Please don't try to touch them. Please note that dogs are NOT permitted at Mait's Rest, and there are no toilets. See more information at the Parks Victoria link at 'Find Out More' above. 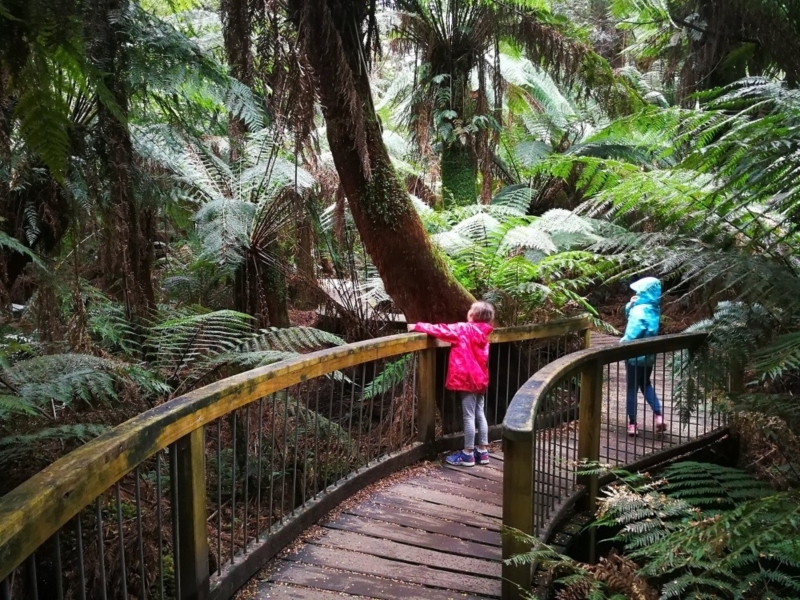 Boardwalks protect the tree fern gullies and moss-covered tree roots from heavy foot traffic. While most of the track is boarded, some parts are gravel. Even hollowed trunks are home to living things with ferns climbing skyward towards the light. 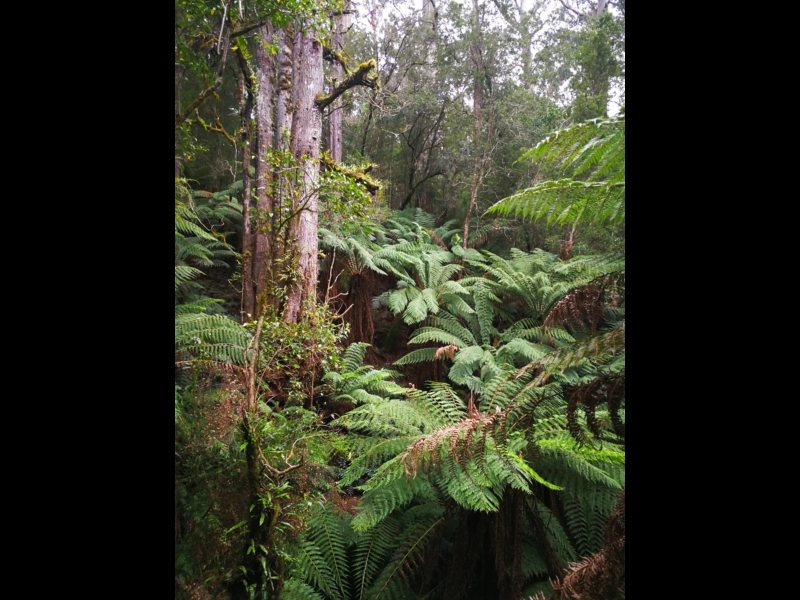 Yes it's a rainforest and yes it is often wet. But at least nature has provided some umbrellas! Many tourism buses pull up at Mait's Rest, so if you can try and find a quiet moment. Even if you don't manage this, you'll still feel the peace and beauty of this place.